Genesis Health and Wellness PA (Missouri City) - Book Appointment Online! 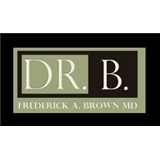 At the office of Dr. Frederick Brown, patients are provided with state-of-the art, cutting- edge medicine to ensure that they get healthy and stay healthy. There was some scheduling issues because the Zoc Doc was not recognized. I had an excessive wait in the office. I got there at 12:45pm, and I did not leave until after 6pm. There was some testing required, but had my appointment been on schedule, I could have done within that time. Overall, it was nice. Very nice office!